Are you ready to create a business with heart and soul that feels like you? One that brings you fulfilment and joy on a whole new level?… Or do you dream of having the freedom to shape your future your way, no rules, no pressure, just doing what makes you happy? If the answer is yes then you’ve come to the right place and have just taken the first positive step to making it happen. Sessions are relaxed, informal and focused on you and your individual needs. I can help you start your business from scratch, get savvy with social media, build a beautiful brand, price your work, product or services, right through to marketing, styling and setting up shop. What might seem like a challenge now’ will soon feel much more doable. Now is the time to invest in YOU and your ideas to help them flourish and grow, together we can work towards building your dream business your way, just like I have. 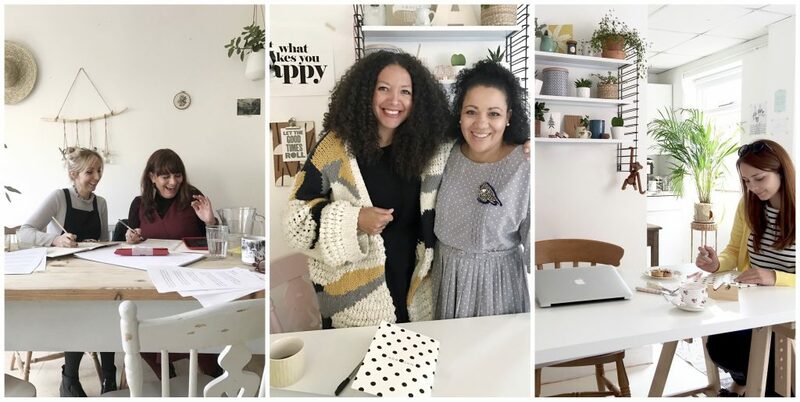 My mentoring has been carefully designed for creatives, makers, thinkers, doers, dreamers and wannabe business owners who want to move forward in the right direction doing what they love. If you’re tired of the old skool cookie cutter way of working and want to try a fresh, modern and alternative approach to business, then this is the session for you. Being your own boss is hard work and can be daunting, I know, I’ve been there and have over 25 years worth of experience to share with you! Rest assured that with my help and guidance you’ll be on the right path to success and a more fulfilling lifestyle in no time. 2 hours of dedicated you time to brainstorm, talk through your ideas and to plan your crucial next steps. a focused 3 month take away action plan to get you started right away. Sessions take place at my lovely studio space at the People shop in Birmingham UK, or we can even arrange a Skype session if you’re not local! Just drop me an email and we can get started.